Visit TK Enterprises Inc. At Table #20 During The CBG San Francisco Show! The team, here at TK Enterprises Inc., is incredibly excited to have started off 2018 with a bang! First things first – please feel free to take a look around and introduce yourself to our new and improved website! Complete with a sleek and professional new design, our site now adequately communicates our company’s commitment to providing a bright future for all of our clients. It certainly pays to keep things fresh! Staying visible online has a lot to do with offering eye-catching visuals and regularly updated content on our site. Not only will we remain committed to offering fresh content via our weekly blogs, but our site now boasts our company motto on its home page: “Calling & Connecting Customers To Your Business”. Since 1980, we’ve been helping businesses connect directly with their customers for a more personalized and connected experience. We do this, of course, through our one-of-a-kind, not-offered-anywhere-else Event Marketing services. Our friendly and experienced team of phone agents contacts customers on behalf of jewelry store owners in order to invite those customers to upcoming in-store events. The personal “reach out and touch somebody” approach to marketing has provided amazing results for our clients. And we’re excited to offer special discounts on our services this month! Come and join us at the CBG San Francisco Show! 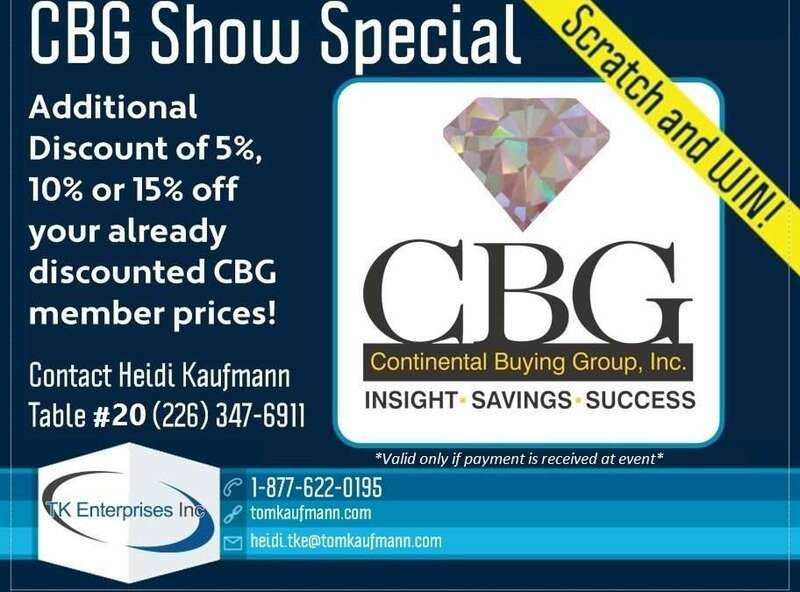 We’re elated to inform you that we will be attending this month’s trade show presented by CBG Continental Buying Group, Inc. It takes place at Hilton San Francisco Union Square, located at 333 O’Farrell Street in San Francisco, California between January 24th and 26th. Not only are we excitedly looking forward to escaping the cold weather, but we’re also eagerly anticipating this great opportunity to meet and network with jewelers from all over the continent during this awesome three day event. And, as we mentioned, we’re offering exclusive special discounts to all those who join us at Table #20 at the CBG San Francisco Show. To all of our visitors, we will be offering free scratch tickets. These tickets will offer their recipients up to 15% off their already discounted CBG member prices for our Event Marketing services. We absolutely love attending trade shows! Not only are they fun and exciting experiences just to be a part of, but they are excellent opportunities to develop and grow relationships with the members of our client base. Jewelers understand the unique nature of their industry. They sell valuable pieces of jewelry that very often become family heirlooms, symbols of lifelong commitments and gifts that commemorate new romantic unions. At TK Enterprises Inc., we’re only too happy to help North America’s jewelers gain greater access to their customers by taking the initiative to call those customers for them. Between January 24th and 26th, we hope to meet you and offer you an exclusive discount to our Event Marketing services so that you too can start 2018 off with a bang! For more information about our Event Marketing services, please don’t hesitate to call us toll-free at 1-877-622-0195. You may also email us at heidi.tke@tomkaufmann.com or fill out the form on our Contact Us page and have someone contact you!